This is a great article over at Yoga International by Amber Burke & Bill Reif. Yoga is not always about increasing your flexibility. Sometimes your yoga journey can be more about learning to listen to and care for your body, and building strength and stability. Everyone's yoga is as unique as themselves! Medical practitioners and health-focused websites are increasingly recommending yoga to those of middle age and up, perhaps because yoga can help make you more flexible and mobile, improve your balance, reduce age-related changes in gait, increase your energy, reduce chronic pain and addictive behavior, decrease the risk of heart attacks and strokes, alleviate depression and anxiety, improve sleep quality, and even slow the effects of aging on a cellular level. Older adults seem to be listening. According to one large survey, those 50 and up constitute 38 percent of all practicing yogis, making them the second largest group of practitioners (after those 30-49). If you are considering joining this number, it’s important to consider how best to approach a new yoga practice at and after middle age. Although no single type of practice will ever be appropriate for everyone in any demographic, a yoga practice for those 50 and up is one that understands and works with the differences between younger bodies and older bodies, rather than one that pretends those differences do not exist. In particular, a safety-focused approach to yoga may be especially valuable for older practitioners, who seem to run a higher risk of in-class injury than their younger counterparts. Yoga, like all forms of exercise, can both cause and exacerbate injuries, and while the rate of yoga injuries for all demographics rose between 2001 and 2014, injuries were most frequent among those 65 and up (57.9 injuries/100,000 practitioners), followed by those 45 and up (17.7/100,000). This may result from the way normal, age-related changes and preexisting wear and tear on our bodies interact with a yoga practice. Although all bodies are different, in general, our bodies become less resilient as we age. To varying degrees, we experience decreases in muscle strength, connective tissue elasticity, and bone density, the combination of which may make us more vulnerable to injury than our younger counterparts. Older adults may also find that their injuries don’t heal as quickly as they did a decade or two ago. By the time we reach middle age, it’s also likely that we bring to yoga conditions or injuries—diagnosed or undiagnosed—that affect our practice and can make injury more likely. Kyphosis, frozen shoulder, osteoporosis, and back pain (discussed further here) are among the common conditions experienced by older adults that may necessitate changes in our yoga practice. Fortunately, by making careful decisions about what type of yoga to practice, and how to practice it, we can decrease the odds of injury. While much of the advice below applies to yoga practitioners of all ages and levels, it is especially crucial for those starting yoga at or after age 50, when safety must take center stage. 1. Seek out the type of yoga class that’s right for you. There are many types of yoga. A high-intensity practice like ashtanga, vinyasa, or power yoga (in which students often “flow” quickly through poses) usually requires the hands to bear weight. These practices may work for some beginning practitioners, especially those who are athletic and free from competitive urges, and who can easily make adaptations within a group class when needed. But if you are newer to exercise and/or working with injuries or pre-existing conditions (especially of the shoulders, elbows, or wrists), the fast pace of a vinyasa or power yoga class and the emphasis on weight-bearing with the hands may not suit you. Instead, you might consider choosing a class that moves slowly and focuses on alignment. Hatha classes, Iyengar classes, classes geared specifically toward older adults or billed as “alignment-focused,” and introductory, basic, or foundational classes could all be appropriate. Kundalini classes, which often emphasize seated poses, chanting, and working with the breath, may also be beneficial. Yin yoga and restorative yoga (both floor-based practices emphasizing long holds), and chair yoga, in which many poses are practiced with the help of a chair, are of value to many practitioners, but may be especially valuable for older students who are newer to exercise, find balancing to be a challenge, or have difficulty coming down to and up from the floor. Teachers of all of these different styles are often happy to teach you privately. A private yoga session is considerably more expensive than a group class, but often far less expensive than an appointment with a physical therapist or doctor. During one-on-one sessions, a teacher can check your form and help you make adjustments to poses that haven’t been feeling quite right, or about which you may be uncertain. Yoga International and other yoga sites will give you many of the tools you need to be your own teacher and embark on a home practice. There, you’ll find online yoga videos that offer classes for a variety of different levels that you can practice at your convenience. However, even those who prefer practicing at home often find participating in group classes helpful—both for the instruction from a “live” teacher, and the encouragement from a community of other students. 2. Find the right teacher for you. Even within each type of yoga mentioned above, classes often vary tremendously depending on the instructor. Some say there are as many styles of yoga as there are yoga teachers. For instance, some vinyasa teachers may move slowly, while some hatha teachers pick up the pace. Shop around. Try different teachers. It is not necessarily important that your teacher be the same age as you, but it is important that younger teachers know how to work with students older than themselves. Go to class early enough to talk to the instructor, or visit with the studio manager to inquire about various teachers’ styles. Ask about their philosophy and goals. Consider steering clear of teachers who think all poses are uniformly attainable and beneficial for all bodies. Instead, seek out a teacher who seems to care about any needs and pre-existing injuries or conditions you might have, and is interested in making your practice productive for you. Find someone who gives careful instruction, teaches poses that seem valuable and possible, and who offers directions you can easily interpret. Above all, look for a teacher whose emphasis is not on the “what” but the “how”—a teacher who is more interested in teaching students how to move safely and with awareness, than in achieving a particular pose. 3. Be clear about your goals. If, instead of accomplishment—like achieving handstand or lotus pose, you see the goal of your yoga practice as improved physical and mental well-being, the poses themselves become less important, a means rather than an end. You will then be less inclined to do anything in the short term that puts you at risk for injury, which would interfere with your long-term goal. Yoga’s benefits for your well-being do not hinge on the attainment of particularly adventurous or dramatic poses, keeping pace with the person next to you, or practicing a pose just the way your teacher does. Rather, the benefits derive from a consistent and mindful practice of poses that challenge your range of motion and strength to a sustainable degree. 4. If you have any injuries or pre-existing conditions, tell your teacher about them, and share any advice you’ve received from your doctor. A discussion with your teachers regarding any injuries and conditions you may have is essential, so that they avoid encouraging you to make movements that are risky for you. Sometimes, your teachers can help you modify potentially problematic poses or suggest alternatives. Even if you aren’t seeking advice (because you know exactly which changes you’ll make to your practice to keep yourself safe), it’s also important to communicate with your teachers to avoid hands-on adjustments that could place pressure on a place of injury or vulnerability. Past injuries and surgeries matter, too, since the area of a previous injury is often the area that’s most likely to be injured again. Any information your doctor has given you about which movements to do and which not to do can be invaluable to your yoga teacher. Though many experienced teachers will know how to work with practitioners who have certain common injuries and conditions, it’s simply not possible for them to know the particulars of every diagnosis. So if, for example, your doctor has given you instructions not to twist or forward-fold, pass that information on. 5. Take charge of your own well-being throughout your practice. It can be tempting to assume that whatever poses the teacher suggests will be a good idea for you, especially if you’ve communicated with them about any injuries or conditions you have. But it’s important not to surrender responsibility for either your own safety or your own good judgment. Sometimes classes are so large that teachers don’t feel they can attend to the particular needs of any one individual. Sometimes your teachers may not know how best to accommodate your needs. But perhaps most critically, there will be times when only you will know what your needs are. For instance, only you can know when you are on the verge of losing your balance in a standing balance pose. But since, according to one study, falls from standing height are the most common cause of injuries in older athletes, it’s critical that you don’t wait for the teacher’s invitation: Exit the pose before your shaking destabilizes you. Continually register what you are doing and how it feels. Stay attuned to warning signs like tingling, numbness, lightheadedness, and, of course, pain. These are cues telling you that it’s time to come out of a pose. Moving slowly from pose to pose gives you time to both get your footing and to notice sensations in your body. And if you’re not in a rush during transitions, it may be easier to stay mindful of your alignment, as well as of any advice your yoga teacher or your doctor may have given you. Slow movement can also help build strength. Slow doesn’t mean easy—quite the opposite. Try taking a few steps as slowly as possible. You’ll likely feel that moving slower requires more control and effort, rather than less. Moving slowly can also require mental strength to stick with the challenges it presents, as well as to keep a slow pace even when others are moving faster. 7. Give yourself permission to skip and alter poses as necessary. Respect your feelings of hesitation. If you look at a pose and think, That looks like a bad idea, don’t do it. Err on the side of caution. Take all directions as suggestions rather than mandates, and do only the poses you can do without strain and while breathing deep, comfortable breaths. Whenever you wish, take a break in child’s pose or any seated pose that is comfortable for you. Often, there may be another way of approaching a pose to make it more accessible. Ask for help from the teacher in creating another version of the pose, perhaps using props. Having a wall to touch or lean against can help you with balance, and blocks or straps can arrest the depth to which you go in a pose, lessening strain and lowering the probability of injury. 8. Pay attention to how you feel, both after practice and the next day. It’s important to take into account how you feel, not only during but also after your practice. Do you feel nothing at all? Do you feel you exerted yourself in a productive way? Maybe you’re sore in a “good way”? Do you have a lightness in your step and a buoyancy in your mood? Or do you feel exhausted? Or maybe you even feel new pain somewhere? If you feel nothing at all after the class you took, you might consider upping the intensity of your practice. If you feel absolutely exhausted or in pain, you may conclude that you did a little too much, and tone things down next time. You may or may not have something in common with the person practicing vigorously next to you. Do not expect your poses to look exactly the same way that other students' poses look. Besides, impressive as some of those demonstrations may be, you don’t know what is going on inside any of those other bodies. For all you know, those yogis have rotator cuff tears, repetitive motion injuries, or pain they are ignoring (and perhaps exacerbating by practicing that seemingly advanced pose). Who knows, some of them may have managed to get into their pose only by compromising their alignment or stability in some way. They may even be holding their breath! Trust that the more advanced student is one who recognizes their own limitations, and practices the version of a pose that is appropriate for their body while maintaining their personal optimal alignment and breathing deeply. Be that student. It may also be tempting to compare yourself with the person you were twenty years ago, who could have done the suggested adventurous pose with abandon. You can no longer do anything to help or hinder the person you used to be, but your actions today will have a direct impact on the person you will be tomorrow. Do your future self a service by respecting your limits as they are today. 10. Men: Patience and persistence will pay off. Researchers have long-noted that women tend to be more flexible than men, a gender gap that is slight in preadolescence but increases toward seniority (when older women maintain greater range of motion in many joints than older men do). This difference may be due to a combination of muscle size, tendon elasticity, hormones, and the kinds of activities that men or women are more likely to engage in. The fact that aging-related declines in flexibility appear to be joint-specific, with, for instance, the shoulder and trunk experiencing greater losses in range of motion than the elbows and knees, indicates that habitual joint usage patterns play a role in these losses. Statistically, men tend to participate in more vigorous physical activities than women, do more strength-training activities, and play sports twice as much (or more) than women do. But muscle bulk, the wear-and-tear of repetitive movements, and the scar tissue that results from injuries may contribute to losses in flexibility. Men’s comparative inflexibility is not a reason for them not to do yoga; rather, it makes yoga even more important. And the good news is that, when embarking on a program of stretching, men seem to make gains in range of motion at a similar rate to that of their female counterparts. However, it’s important that they take things more slowly than they might be inclined to, and that they don’t expect themselves to be able to do everything their female neighbors in class are doing—at least not right away. What all these tips encourage is viveka: a Sanskrit term for the prized quality of discernment and discrimination. Although certain physical aspects of yoga may be more challenging as we age, discernment may also be easier to come by. At middle age and beyond, we may have an easier time discerning our goals, the kind of practices and teachers that are right for us, and the speed at which we may safely proceed. We may be able to better discriminate between the poses and movements that are of benefit to us and those we would be better off skipping, between what is right for another and what is right for us, and even between what was right for us 20 years ago and what is right for us now. If we apply this earned wisdom to our yoga practices, it will not only help to keep us safe, but it will also serve as a signal to others. Every time we stay in a less extreme version of a pose, or take a break when we need it, we model to younger, more ambitious practitioners a kinder way of practicing. We tell another story about what yoga can be. Through the self-awareness and self-care that infuses our actions—and at times our inaction—we become arrows that point inward instead of outward. Happy New Year everyone! I wanted to take a moment to celebrate a couple of milestones that I can thank all of my wonderful students for making happen. First, I’ve been working over the past few days to close out all of my business paperwork for 2018 and I made the realization that as of 12/31/18 I have taught 1,600 hours of yoga since registering with Yoga Alliance in November 2015. 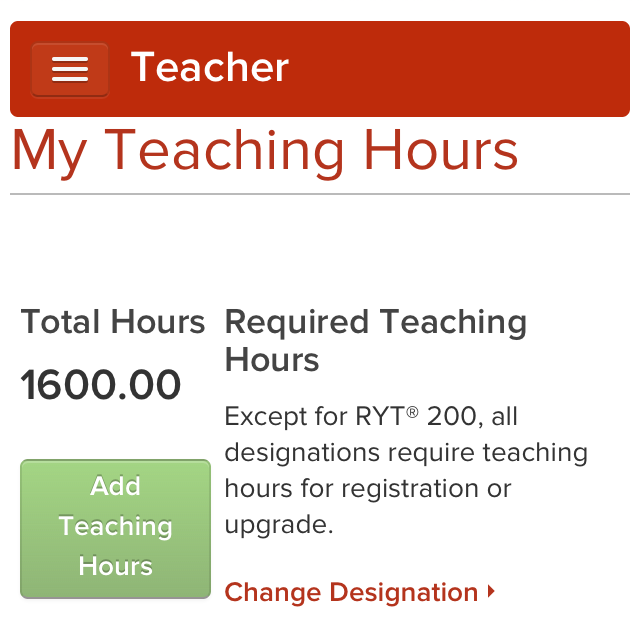 That seems like a lot of time on my yoga mat and every one of those hours were spent with my students. Thank you! You’re all amazing. Second, January 4th will be another milestone for me. It will mark 3 years since I taught my first yoga class after moving back to Tulsa. I consider that my business anniversary - the day that Yoga with Leta became a reality. So again, let me say thank you. Thank you to everyone who has ever come to a class, offered me words of encouragement, or been understanding when I’ve had to cancel or reschedule a class. I appreciate you, and thank you for supporting small business owners - it means an awful lot. I'll be offering a free essential oils class this month over at Alex's office in Sand Springs. We're going to talk about how essential oils can help you find your focus for the new school year. Whether you're in the classroom, supporting a student. or working on your own projects this is a great time of year to refine your focus and help yourself get to work! I'll be highlighting a couple of specific doTERRA oils that can help you focus, concentrate, get better sleep, help with memory support, and so much more. I hope you can come join us for a fun evening - call to reserve your spot at (918) 246-5808. See you there! I've Moved - Come Check Out My New Office! Well it is official! I have opened my own office in Sand Springs. I have manage to find a couple of amazing doctors who are backing and helping me in opening this space. I am taking over an existing clinic from Dr. Brandi Wilcox who is looking to reopen closer to her home. The new clinic is Wilcox Chiropractic which will be renamed Sand Springs Chiropractic sometime in the next year or so. I invite everyone to come over, say hi, and check out the new space. I hope to see you soon! Full Yoga Schedule is Back! My regular yoga schedule has been back up and running for a few weeks now! Current monthly schedules are always kept up to date on the Calendar page. So come check it out and find your next yoga class!